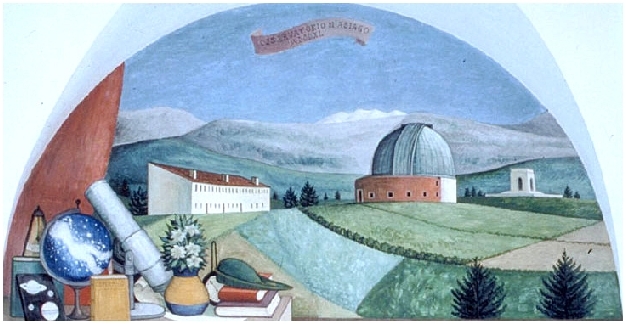 The frescoes depicting the Specola of Padua and the Astrophysical Observatory of Asiago, can be seen on two lunettes in the windows of the Rectorate gallery, together with other illustrations of university institutions. They were painted by the Paduan artist Fulvio Pendini (1908-1975). Virtual visit to the University "Bò" Building.